Load up your family and head to NOMA Square for Greenville Heritage Main Street Fridays to wind down, relax, and enjoy great live music. It features great music, fun attractions, and delicious food. This weekly music series on Main Street at NOMA Square continues through Friday, September 27. It opens at 5:30 pm and closes at 9:30 pm, with bands playing two sets at 5:50 pm and 7:40 pm on the CPI Security Stage. In addition, the kids’ area features a variety of inflatables to add to the family fun. 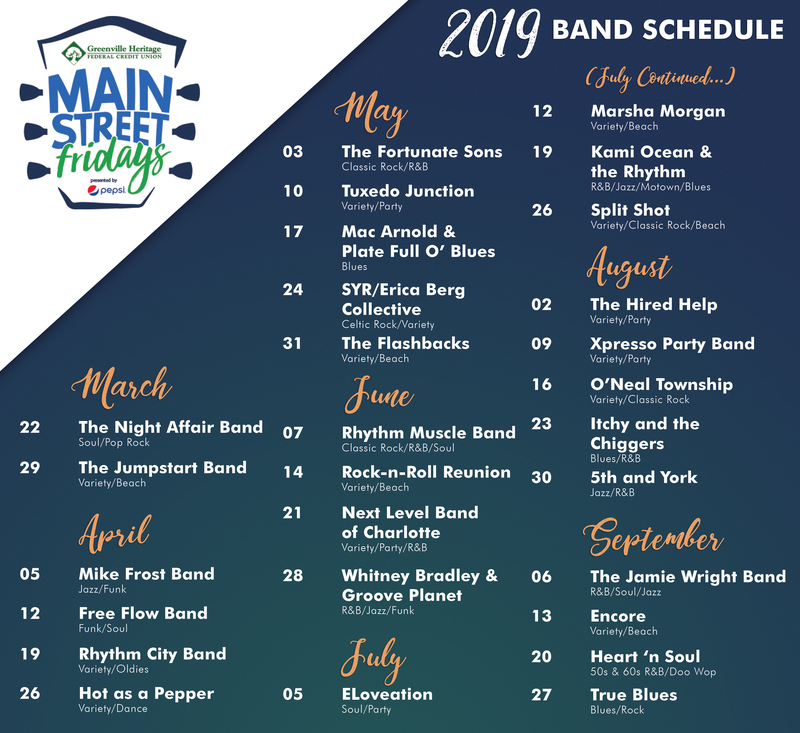 Greenville Heritage Main Street Fridays is scheduled for each spring season. It rates high in the eyes of locals and features some of the very best local, regional, and national musicians. Thousands of individuals and families come out each year, and we hope to see you there as well! Visit the City of Greenville website for additional information.